Whistling Shade is a literary newspaper freely distributed to cafes, bookstores, libraries, and other locations in Minneapolis/St.Paul. We take a populist approach to literature, and our readers are the general public rather than the academics and literati targeted by most lit journals. Our hope is to keep literature, that whistling ghost at the back of our social consciousness, enjoyable and accessible in the Twin Cities. 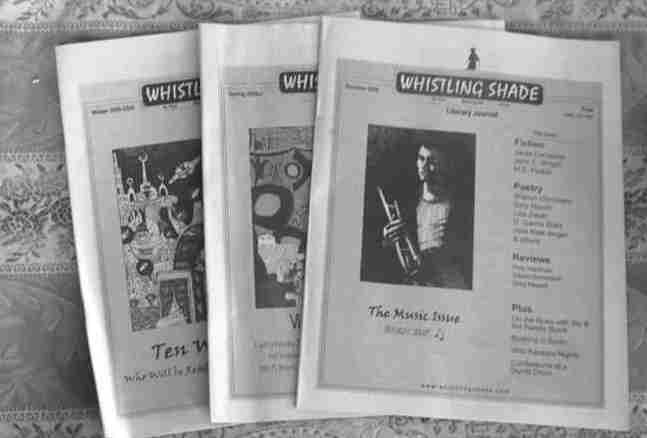 Whistling Shade was founded in 2001 and our print circulation is now 2500. We currently publish semiannually, in the spring and fall. 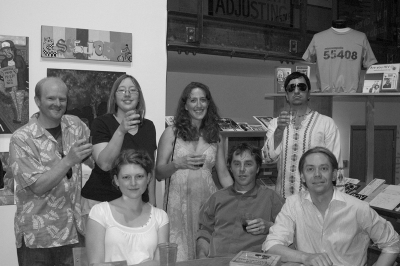 In 2008 we began publishing books - see the Whistling Shade Press page for more information. In addition to the print version, stories, poetry and essays appearing in Whistling Shade will be posted to this web site. Note that all work here is copyrighted by the authors (not by Whistling Shade). Students interested in volutneering with Whistling Shade should contact us at our admin@whistlingshade address. Student volunteers can expect to work with our editors on fiction and poetry submissions, do copyediting, and in some cases write book reviews. Volunteering with Whistling Shade involves only a few hours per week and therefore does not typically fit the criteria for an internship.